I come to you today with a festively whimsy yet simple recipe that was inspired by an amazing banner (which I will reveal very soon) that my beautiful and talented cousin Amy made for me. My cousin Amy has always been this amazing figure in my life. She was the first person to show me that magical things will happen if you believe in the possibilities. She taught me about resilience and vulnerability and the strength that resides within both. She’s an incredible mother, sister, cousin, and overall magical unicorn princess that I’ve always felt this beautiful connection to. Oh and probably most importantly, she introduced me to the cucumber melon scent and chocolate chip cookie lip balm and I am forever indebted to her. We are a festive bunch of cookies. We are sitting here waiting to be nommed by our happy friends. Before you bake these cookies or even think about preparing these, you have to without a doubt believe in magic. If you don’t believe in magic then your cookies will not taste like giggles and happiness. They will taste of apathy and malcontent and these cookies are not grumpy cookies. Put on some happy music or even a movie. Grab a person you absolutely care about and give them kisses. Dance with your dog (then wash your hands cause you’re going to bake). Snuggle your babies! Snuggle yourself! Then snuggle the oven and preheat it to 350 degrees. In a large bowl mix your butter, sugar, and almond extract until the mixture becomes puffy and filled with fun. Encourage the mixture as it grows by telling it really awesome jokes. The jokes will help the mixture become good-humored. Everyone likes cookies that are good-humored. Add the flour and egg to the deliciously puffy mixture and mix until it becomes dough-like. You’ll need to shape and chill this dough for at 45 minutes to an hour. 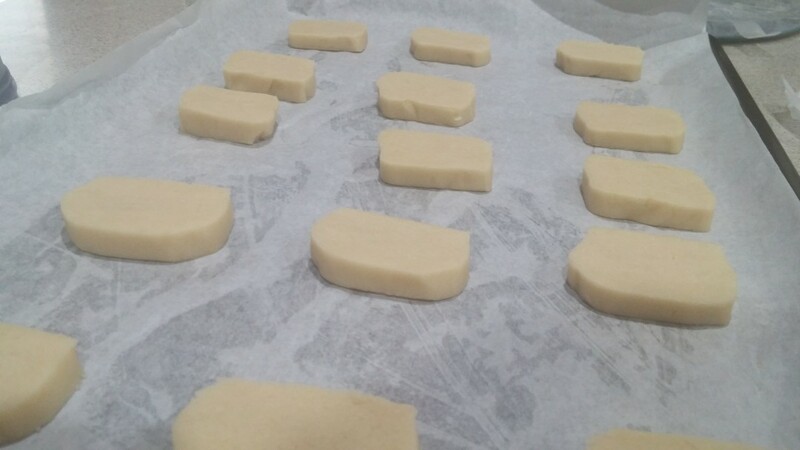 In order to shape the dough, you’ll need a floured surface. You don’t want to over mix it. It just needs to take the shape of whatever you’d like. I like oval round shapes but this time I went with a sort of squared one. Each cookie must be the same exact width as the others. You can’t have some that are bigger than others because they won’t bake evenly. A burnt cookie is a sad thing indeed. Transfer your dough to the floured surface and make it into a ball. Once it’s in ball form grab some plastic wrap or wax paper and place the dough right in the center of it and shape it a bit better. You could obviously be very meticulous and have perfect shapes. I’m incredibly impatient and don’t like sharp ends so I went with a fun square that’s somewhat oval. You could shape it into a perfect circle, square, heart, or whatever your beautiful heart desires! It’s time for the dough to take a very cold 1 hour nap. 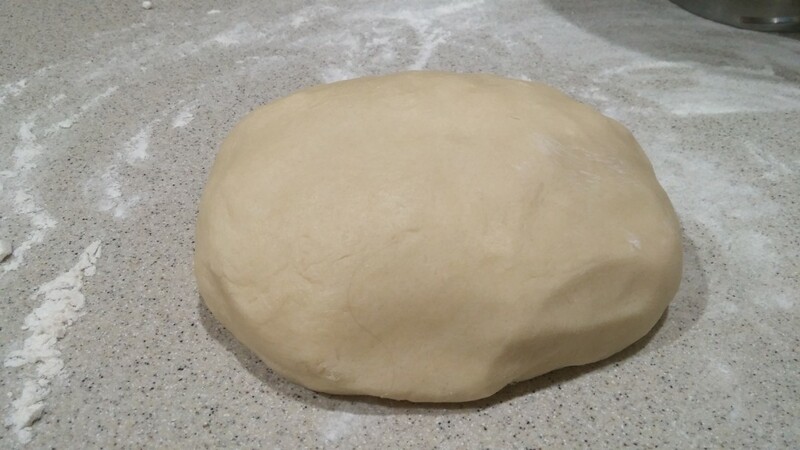 Place your dough into the fridge with it’s plastic wrap or wax paper blanky and let it nap. Wish the dough pleasant dreams and tell it you’ll see it very soon. I am shaped awkwardly but pleasantly. I am loved by all who will noms upon my delicious almond buttery bod. Bake these cookies in a lined cookie sheet for 8-10 minutes or until golden around the edges. Now to the fun part! Once they’re cooled go bananas and decorate them with your toppings. Be creative! 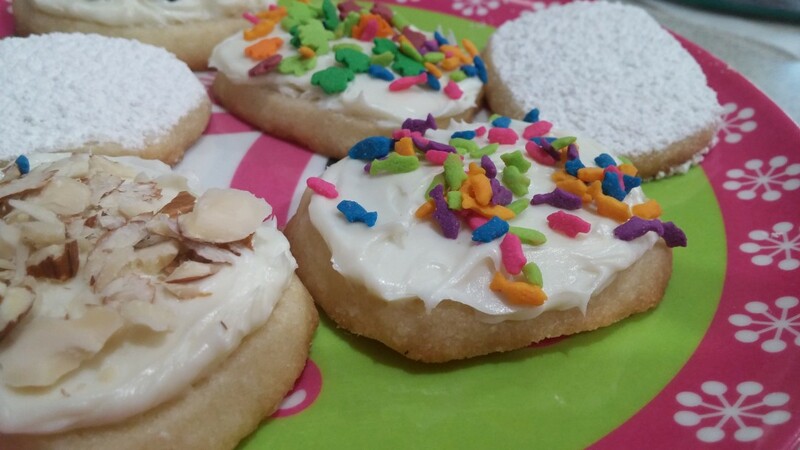 These cookies are all about self-expression, magic, happiness, and everything that is whimsy! You do you, boo! Don’t you wish you looked this good? Woke up looking like this, y’all! And you’re done! Make sure to share these cookies with someone you love. It’ll make this entire process even lovelier. Thank you! They were really yummy. Yes. I desire these cookies but I don’t know if I’m filled with enough laughter and giggles to make them. Google some silly cat or dog vids! It’ll definitely help. I have never been more hungry in my life. O.O Oh no! Did you get something to eat? 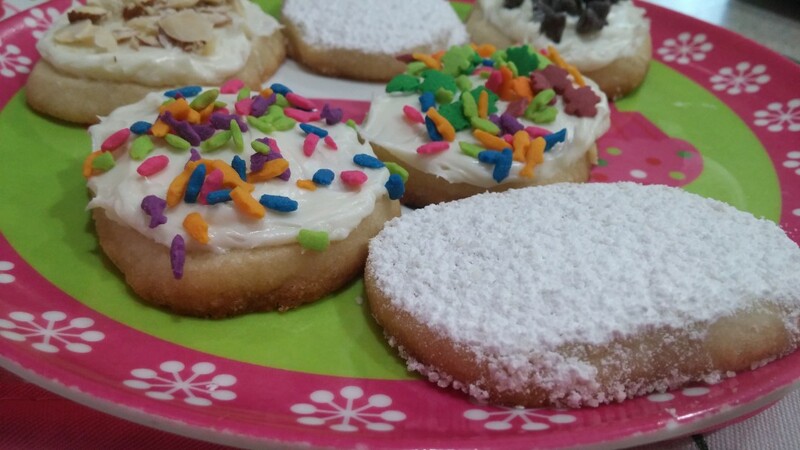 Did these cookies make your stomach rumble too much? I’d definitely share. I ate but my stomach isn’t satisfied because it knows something better is out there waiting to be digested. That stomach of yours is hard to please. I’m glad it keeps you on your toes.